Home / Community / VocaVerse Network is Now Live! Fans may remember our April Fool’s joke mentioning that there was an actual VVN in progress. Well, we’re now ready to reveal it! 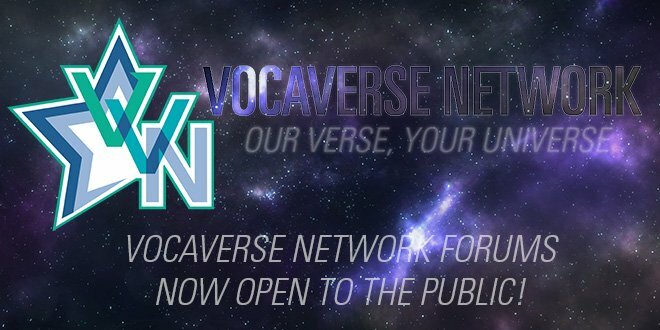 VocaVerse Network is now live! 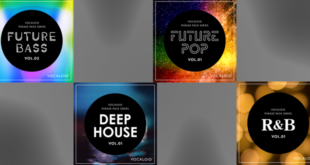 VocaVerse Network is a community based forum by vocal synth fans for vocal synth fans. 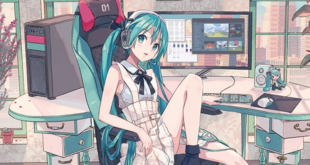 It was made to fill a recent void in the community after the announcement that Vocaloid Otaku would be shutting down. Many users came together to help create the new forums and after a lot of hard work, VVN is finally ready for the world! VVN is the official forums of VNN so expect to see VNN members as well as our amazing new forum admins and mods around! VVN is a forum but it’s also far more. We have a Discord channel set up for chatting and it’s even integrated into the website! In addition, VVN has social media that fans can expect to see quite a bit of content on. As mentioned earlier, VVN is by the fans for the fans. In the coming months, you can expect to see theme contests, featured artists, and much more! And join the VVN Discord! VNN and VVN would like to give a huge “Thank you!” to all of the artists involved in the creation of VVN. 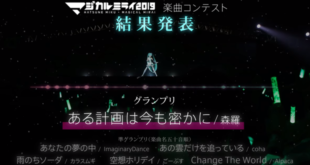 And thank you to Rayduxz, Bascetta, and Paradoxical for helping to put the main theme together alongside Hoshi!